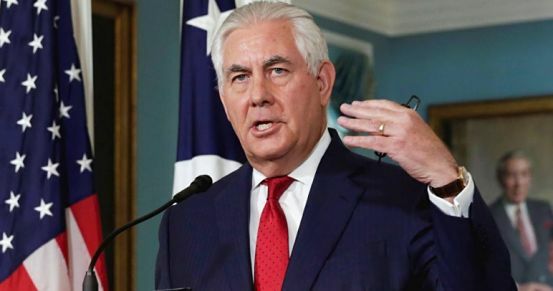 GUEST OF HONOUR: His arrival won’t cause as grand a fanfare as the Obama visit a few years ago, but Rex Tillerson’s trip to Jamaica this week is expected to be just as productive. The senior American diplomat is expected to land on Jamaican soil for the first time, this Wednesday, February 7. He will meet with PM Andrew Holness, foreign affairs minister Kamina Johnson-Smith and other government officials to discuss US-Jamaica relations, regional security, energy efforts and Jamaica’s ongoing economic reform efforts. But before jetting into Kingston, Mr. Tillerson, the current US Secretary of State, will visit Mexico City, Mexico; Buenos Aires, Argentina; Lima, Peru and Bogota, Colombia. GRAND SHOWCASE: Jamaica has been tapped to host the Caribbean Travel Marketplace expo at the Montego Bay Convention Centre in St. James, next January. The occasion will mark Jamaica’s fourth time playing host to the CTM, dubbed the region’s largest tourism marketing event. Puerto Rico are the 2018 hosts and, according to reports, over 1,000 delegates attended this 35th anniversary staging. Meanwhile, plans are afoot for the construction of Jamaica’s first entertainment centre in Montego Bay. “We will allocate $50 million to do the design and the necessary preparatory work to ensure that construction of that facility can begin later in this fiscal year,” says tourism minister, Ed Bartlett.